Hello all, please see attached photo for my Network Layout from the Dashboard. 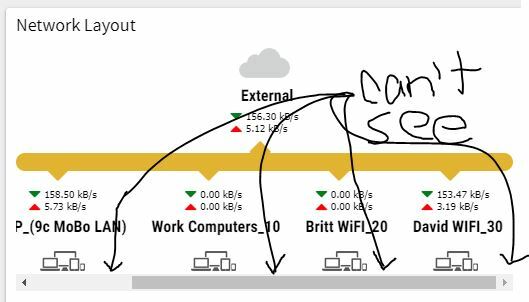 Because i have added a few VLANs, i can no longer see the bottom of the widget and hence I don't have a line of sight to the number of machines connected to each Network. I searched for a setting specific to Network Layout but there is not vertical-widget-size-control for this Widget. Would be nice to pan vertically or increase the vertical size of the Widget.